Ø§Ù„Ø±Ø¦ÙŠØ³ÙŠØ© / mobile / software / Android Jelly Bean - What's New in the Menu ? Android Jelly Bean - What's New in the Menu ? The amazing Android OS maintained its efficacy at different dimensions of execution and offerings. In no time it outshined the leading operating systems with its robust and steady penetration in the market segment, ever since it entered the domain in the year 2007. Android is known for fast technology transition. More impressively it is always focused to provide advanced user-experience. Getting even better with the ever-gripping android applications and the suite of technology it is accessorized with - the latest versions of Android will compel you to think 'delicious'. Android's Jelly Bean is the latest in this array to offer the most innovative and newest of definitions of Android to its avid users. So what's new? Well, the Jelly Bean, precisely known as Android 4.2 exceeds every expectation of its user with the brand new excitement its offers. If you want to take it in three words its faster, smarter and gorgeous - A totally new breed of mobile technology. Speed And Smoothness - Speed is the label for Android 4.2. The Android was never so fast, fluid and smooth. You will see heavy graphics and irritating sizes being processed with absolute ease here. Switching between screens and managing files have become so easy and effortless with 4.2. The smoothness and feel of the new Android is absolutely feather-like! Completely In-Service - It's sensible and smart. You are going to get treated with utter ease with the new Android. You will be served with useful and amusing information when you are ideal and bored. You are going to get easy access to your gallery depending on your mood and the time of the day - all characterized to suit your preferences. Screening Big -There are few things you would only like to view on a big canvas. You will love your new Android phone more when you will be able to use it for wireless displays. With Jelly Bean 4.2 you can share your videos, movies, presentations with HDTV seamlessly. Easy Notifications - Get notified while driving, meeting or shopping with easiest notification controls. With new android features you will not be missing a call when you don't want to. You can have a look at every detail and each update instantly with the amazing notification valve. 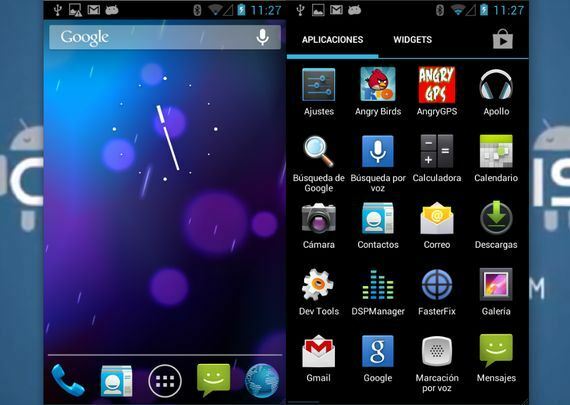 Attractive Widgets - Widgets work astoundingly with the Android 4.2. You can use them best of your needs and personalize your screen to its creative best. Just go ahead and build your very own landing area with these widgets. Better Search - It's easier than ever to search, browse and see through results with the new Android Google search features. You get quick answers and highly relevant results for your query with Knowledge graph supporting precise search result. You just can't take all of them at once. Gesture typing, amazing photo sphere camera, beam photos and videos, all these features and more make your experience far better than you ever imagined.